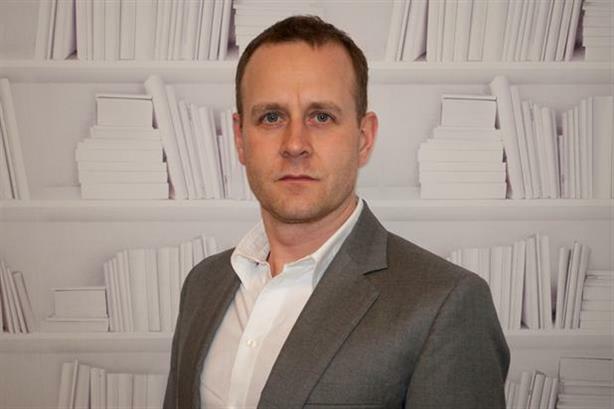 Havas has hired Chris Hirst, CEO of ad agency Grey London, to lead its 'greater Europe' business, which will include the UK for the first time, as it reports a 5.1 per cent rise in organic sales in 2014. A new European HQ is to open in London’s King’s Cross at the end of next year, using Havas’ ' village' organisation, which sees different parts of the business housed in the same area. Havas CEO and chairman Yannick Bolloré also said he expected the French advertising and comms giant - whose PR agencies include Maitland, Cake and Havas PR – to report organic growth of between three and four per cent in 2015. He expects to be "less cautious" about acquisitions this year. The company reported revenue of €1.9bn ($2.1bn or £1.4bn) in 2014, and €551m ($629m or £408m) in Q4, when organic growth slowed to 3.5 per cent. The UK was among the star performers over the year, with full-year organic growth up nine per cent, "driven mainly by media, data and healthcare communications". Growth across Europe as a whole was +4.1 per cent, with North America at +5.4 per cent, APAC and Africa at +10.8 per cent, and Latin America at +5.2 per cent. Speaking at a conference call on Thursday afternoon, Bolloré said the appointment of Hirst will see the UK business become the headquarters of the 'greater Europe' region for the first time. "The UK will be at the centre of Europe. It’s more relevant to be organised like that as our clients are often headquarted in the UK," Bolloré pointed out. "We have a strong ambition in London." He said Havas has taken an "entire building in King’s Cross", between the upcoming Google office and Central Saint Martins College, for its European HQ. Bolloré described Hirst, who has been MD then CEO of the WPP-owned Grey since 2003, as a "UK star". He predicted Hirst will start his new role around September following a period of gardening leave. "I think it’s a great proof that a sea of talent wants to join us," Bolloré said. Havas will employ the 'village' approach, which was first adopted in France four years ago; there are currently 26 globally. "In the next one to two years, all the group will be organised this way," said Bolloré. Asked by PRWeek, Bolloré said Havas’ PR business was "doing very good". "We have some very good capabilities in experiential PR. We think PR is becoming part of content and is at the heart of Havas’ capabilities, and we will keep on investing in this area." Havas said 2014 was a "record year for new account wins". The value of net new business was €2.2bn ($2.6bn or £1.7bn) in 2014 and €550m ($628m or £407m) in the fourth quarter. Havas’ acquisitions in 2014 included Formula PR and Bird & Schulte Advertising. "Last year Havas made six acquisitions, which is twice as much as the year before. We are very satisfied with the way they are integrated," said Bolloré. "[In] 2015, I think we can forecast to have slightly higher trend in number of acquisitions. We have nothing ‘in the pipe’ that is transformational but we will still look at buying some [companies] with great talent that will add some value to our existing network." He described the Q4 performance as "very satisfactory" despite the slowing of organic growth linked to a flat European performance; sales slid 2.5 per cent in France, although they grew 3.2 per cent in the UK. Q4 organic growth was 5.4 per cent in North America, 10.8 per cent in APAC and Africa, and 5.2 per cent in Latin America. Regarding his outlook for 2015, Bolloré said organic growth of three to four per cent, broadly in line with Q4, was "cautious". He pointed to positive developments such as falling oil costs, which he hoped would help stimulate Europe, although he did not expect France to be a "fast-growing market". Bolloré said in a statement: "2014 was a very robust year for the Havas Group. We owe this performance to the trust our clients place in us and to the talent of our teams around the world. The excellent level of new business maintained throughout the year, thanks to wins such as Paypal, Century Link, Disney, Emirates or Iglo, also contributed substantially to the group's performance. "Havas now enjoys a positive momentum which allows us to approach the start of 2015 with every confidence."